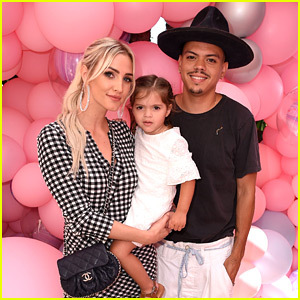 Ashlee Simpson and husband Evan Ross pose for a photo with their adorable daughter Jagger while attending the launch of beauty brand Petite ‘n Pretty on Saturday (July 21) at the Beverly Hills Hotel in Beverly Hills, Calif. 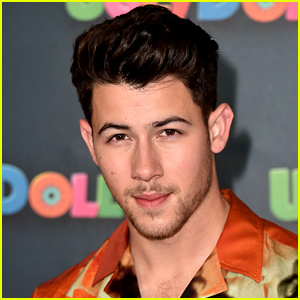 The 33-year-old singer is returning to reality television in a show with Evan and her sister Jessica Simpson recently said she’s shocked by the news. “So much fun @petitenpretty PARTY!! Beautiful makeup and cupcakes with my girl!” Ashlee captioned the below video on her Instagram account. FYI: Ashlee is wearing a Rachel Comey dress from Shopbop. 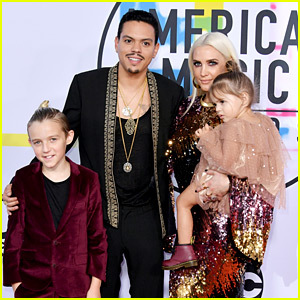 Ashlee Simpson and Evan Ross step out on the red carpet with their kids at the 2017 American Music Awards held at the Microsoft Theater on Sunday (November 19) in Los Angeles. The married couple is at the show to support Evan‘s mom Diana Ross, who is being honored with the Lifetime Achievement Award this evening. 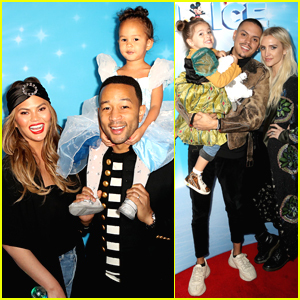 Ashlee‘s son Bronx and their daughter Jagger looked so cute in their red carpet outfits! 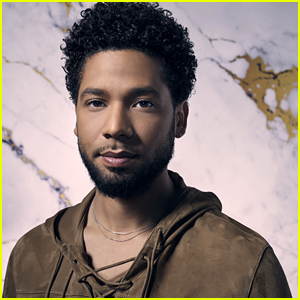 FYI: Ashlee is wearing a Christian Siriano dress, Giuseppe Zanotti shoes, and Neil Lane jewelry.